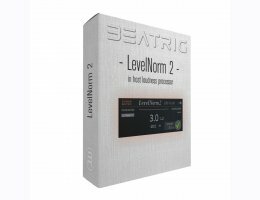 LevelNorm 2 brings the loudness normalisation revolution right into your workstation. Both realtime (AU/VST/AAX) and offline (AAX). Compliance to EBU R128, ATSC A/85 and CALM act requirements has never been so fast, easy and affordable! New "Realtime" processing in version 2. Avid Protools 8 or higher, Media Composer (Symphony or News Cutter) 5.5.3 or higher, AudioSuite classic (RTAS) and AAX format. Please download and evaluate a demo of the software fully before your purchase. All purchases are final. Download the LevelNorm 2 demo version here!